Hallo, hallo! How goes it? This is one of the pieces I did for Kookyrabbit that I am pretty [pleased about. I tend to rush a lot of my kookyrabbit sketches. Sometimes am just uninspired to draw that particular subject and sometimes I have more pressing drawings to do or something else has my attention. I may need to do a project of before and afters where I re-do/re-make an old kookyrabbit drawing. 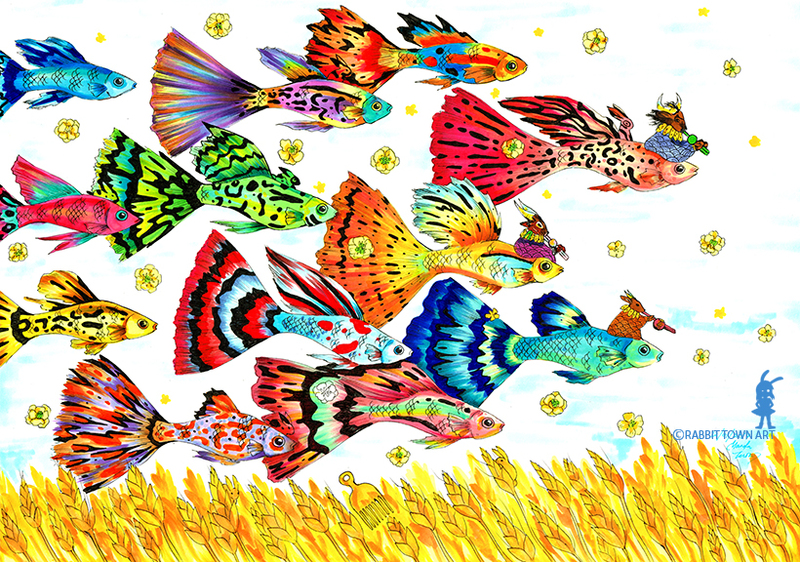 This is the drawing that inspired me to buy guppies for my tank last weekend! It's nice to have fish again. Other than that...not much else to report!